There are four places in the world that the moment I arrive, I feel like a weight lifts from my shoulders. They are Ibiza, Squam Lake, Florence and Lyme Regis. I visited Lyme Regis as a child, it was the first place that my husband and I went on holiday together, I have taken my children on holiday there. It is beautiful. Last weekend I was invited to teach at a retreat there and it was every bit as lovely as I hoped it would be. Daisy from Devon Sun Yarns has been running these retreats for a few years now and it runs very very smoothly. The house we stayed in was beautifully decorated and is definitely a house 'by the sea', it is full of details - driftwood, sea glass and model ships. 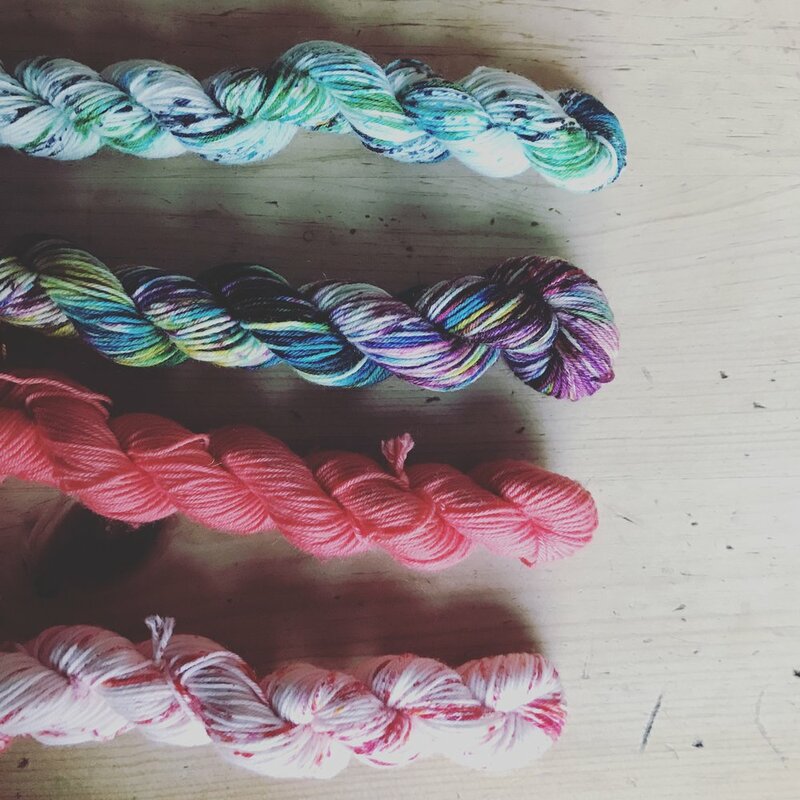 On Saturday morning we started my Choose your own Adventure Sock workshop, people brought their leftover balls of sock yarn and Daisy had some amazing 20g mini skeins on hand. After lunch the attendees dyed a skein of self-striping sock yarn with Daisy. On Sunday morning we decided what heels to use for our adventure socks and by the afternoon everyone was on their way home, well on their way to having the happiest socks on earth on their feet. It was a magical, restorative weekend and I will be back! Daisy and I got our diaries out before I left to travel home and I will be returning to Lyme Regis in January 2018 - the house has real fireplaces and I'm looking forward to walking on a winter beach before curling up in front of the fire with my knitting. If you'd like to join me, all the details are here.